Nowadays, any company that wants to grow and guarantee profits needs to automate its processes. High-quality, compliant invoice processes don’t just happen. They are a result of good processes and good data working in harmony. P2P systems are designed to provide you with full control and increased visibility at each step of business transactions. 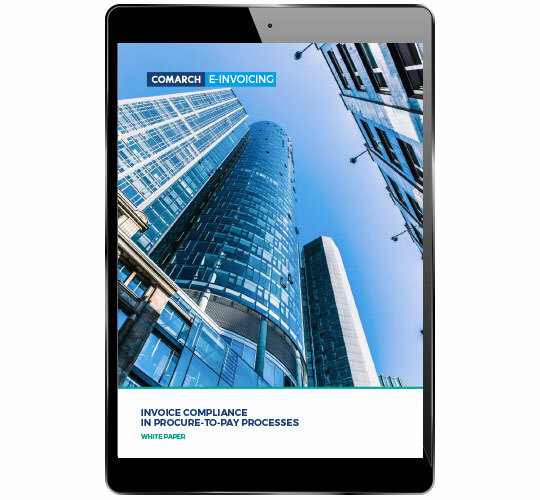 This report analyzes the impact of P2P systems on invoice compliance processes in global companies. What are the biggest challenges, and what can businesses do to overcome the major issues? 64% of businesses are looking to improve their compliance. Download the FREE white paper now, and learn from experiences of the biggest international brands.